Here’s a step by step guide to download and install macOS Sierra on Windows using VMware virtual machine. VMware is a virtualization software that allows multiple operating systems to run on a single machine. On a Windows machine, it means that you can install any operating system that is originally not supported such as macOS Sierra 10.12. 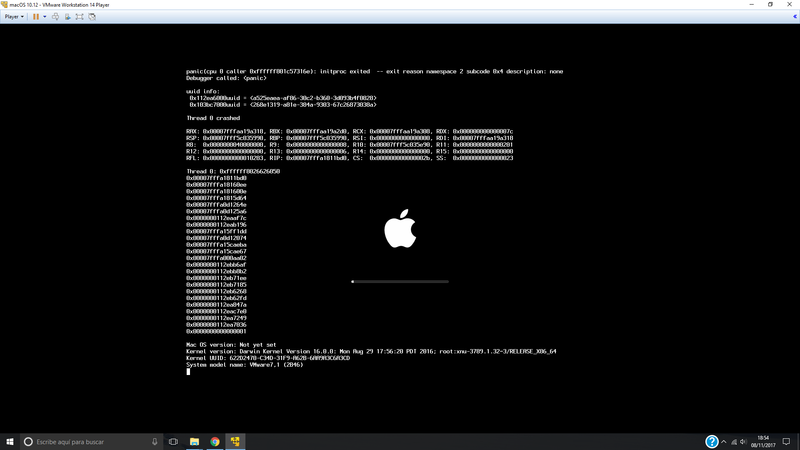 Some of you might want to install macOS on your Windows machine for various reasons. Maybe your favorite program works on Mac only or you wish to develop apps for iOS or macOS and therefore require XCode. Whatever the reason is, it is quite easy to install macOS on your Windows machine using VMWare. In this detailed guide, we will show you how to install the latest macOS Sierra 10.12 on Windows using VMWare virtual machine. If you get an error stating that the download limit has reached, you can fix it by copying the file into your own Google Drive. Right click on the file and select ‘Make a Copy’. Choose ‘My Drive’ from the left menu. Once copied, download the file from your drive. Step 2: Download and Install VMware Workstation or VMware Player. You can get started with the trial version if you don’t want to purchase it. Step 3: Extract the macOS Sierra .rar file to a folder. To do so, place it within a new folder and then right click on the .rar file and choose Extract Here. Step 4: Unzip the Patch Tool file downloaded in step 1 and open its folder. Right click on win-install.cmd file and select ‘Run as administrator’. For this step to be successful, VMware should be installed on your PC. Open VMware Player or Workstation (download it if you don’t have it) and select “Create new virtual machine”. For ‘Guest operating system’, choose Apple Mac OS X and then for the Version, select OS X 10.11 or OS X 10.12. Enter a name for the virtual machine. For the Disk Capacity, enter the size that is recommended by VMware and then choose “Store virtual disk as a single file”. Select “Edit Virtual Machine Setting”. On the Hardware tab, click on “Hard Disk (SATA) 40 GB” and then click on Remove. On the same window, click on Add. For the disk type, select SATA. Click Next and select “Use an existing virtual disk”. Once it’s created, click on the new hard disk and then click on the Disk file field. Browse and select the macOS Sierra image file that you downloaded and extracted in step 2 (macOS Sierra.vmdk). For the RAM, you can select between 2.56GB to 4GB and for processors, it can be 2 to 4 cores. Open the folder where you extracted the macOS Sierra image file. Right click on the VMX file, choose Open with, and select Notepad. Go to the end of the file and on a new line, copy and paste this code: smc.version = "0"
Turn on the macOS Sierra virtual machine. Click on CD/DVD, make sure that Device status is set to ‘Connected’ and ‘Connected at power on’. On the same window, under Connection, choose ‘Use ISO image file’, and then browse and select ‘VM Tool.iso’ from the files that you downloaded in step 1. Congrats! You have successfully installed macOS Sierra 10.12 on Windows using VMware. You can now use macOS on your Windows machine and run any mac-specific program within the newly created virtual machine without having to own a Mac. macos not showing on latest version of VMware when trying to create new virtual machine… do i need an older version of vmware? I think you missed Step 3. The Patch Tool adds the Mac OS X option. the VM is working but it doenst recodnise the iPhone when i connect it… how can i fix this? Did you find the solution please share. @riko_mukhlis:disqus @disqus_bSzEk4tMfg:disqus That’s strange. Can you try with the new mirror link I added: Mirror Link 1. Or maybe you have an Anti-Virus software installed which is accidentally removing it. You have to look in the “Location” folder on step 5. I had to watch a YouTube video to figure it out. why my iphone was not connect with itunes on mac just connected with itunes on windows ??? Anyone else having mouse issues? Same issue here. Does it need verbose mode or certain flag to run on certain devices? Admin help.. I can not pass the apple logo. Does it need verbose mode or certain flag to run on certain devices? Admin help.. It is running so slow in VM. Can I use the vmdk file to dual boot macos with windows? i used the oracle VB, with SSD and 8gb ram. it must cater the speed. not smooth experience but tolerable. i had that problem before when my lappy was using HDD and a 4gb ram. now I upgraded to SSD and 8gb, i manage to run the OS not smooth but tolerable. I checked the task manager, it will eat your ram up to approx to 7gb. so i guess u need to upgrade. it certainly due to your laptop capacity i believe. i had the same problem before i upgraded my lappy. now i have SSD on my OS and 8gb ram. it will eat up approx to 7gb ram when running the virtualbox. Why i don’t files like unlocker folder and vmx and other files?